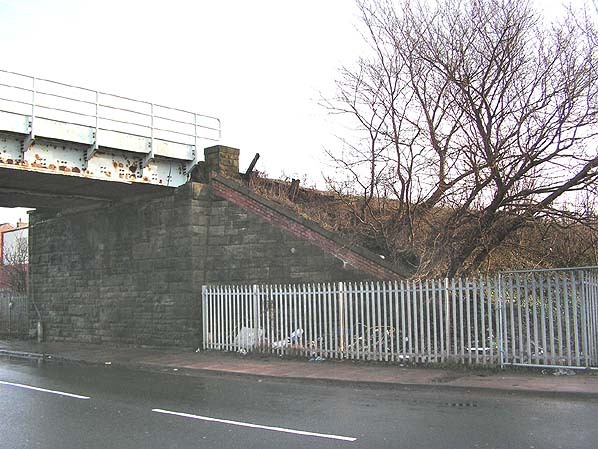 Notes: Butts Lane Halt was located on the former Liverpool, Southport & Preston Junction Railway (LSPJR) Barton branch which had originally opened on the 2 September 1887. Since the 15 July 1897 the line had been part of the Lancashire & Yorkshire Railway (LYR). Passenger services had operated on the line since the 2 September 1887 but it had not been a success. In July 1906 the LYR introduced a Railmotor Service on to the line that operated between Southport Chapel Street to Altcar and Hillhouse. To coincide with the introduction of the railmotor two Halts were opened and the service proved to be a success. As a result of the success a further halt opened in March 1907 and this was followed by Butts Lane Halt which opened on the 18 December 1909. The other stations and halts on the Barton branch were located in sparsely populated rural areas but Butts Lane Halt was located on the eastern edge of Southport close to residential areas. It was situated on the south side of Butts Lane over which the line crossed on a bridge. The line was double track and the halt was provided with two short low level platforms. Each was linked to Butts Lane from the northern end of the halt by steps and a path. terminating at Barton. 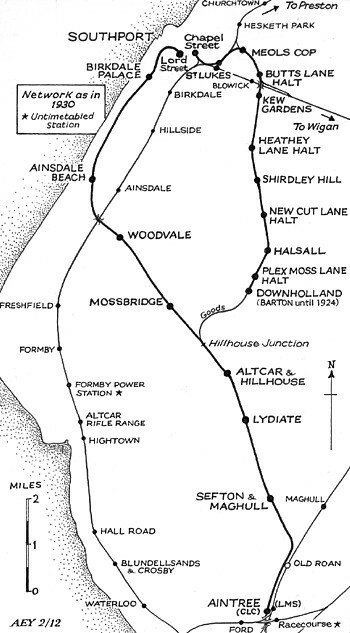 Altcar & Hillhouse did offer interchange possibilities with Cheshire Lines Committee (CLC) services running between Southport Lord Street and Liverpool or Manchester but it seems unlikely that there would have been much demand for this. The Railmotor service became known locally as the ‘Altcar Bob’. There is some debate as to the origin of this name. The use of Altcar is quite simple as it was the southern terminus but there have been a number of suggestions with regards to why the name ‘Bob’ was chosen. It has been suggested that one of the original drivers was called Bob, that small engines where often referred to as Bob and that the service was named after the slang term for a shilling which was called locally a ‘Bob’. By 1910 sixteen return trips were operating on weekdays along the branch and there were even nine on a Sunday which for a line that south of Butts Lane Halt ran through extremely thinly populated areas was not bad. A short distance to the south of Butts Lane Halt the LYR Wigan and Southport line passed under the Barton Branch. On the 13 February 1911 the LYR opened a line from a point just to the south of the halt, which became Butts Lane Junction, to a junction with the Wigan line at Pool Hey. 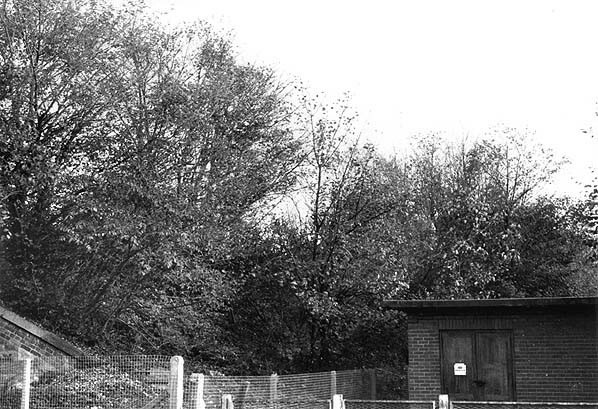 To control the junction at Butts Lane a LYR timber signal box with a thirty-two lever LYR frame was opened. It was located on the east side of the line just to the north of the halt. It was located away from the actual junction because it also controlled access to a goods yard at Meols Cop and a branch to the Southport Gasworks which was behind the box to the east. The box was provided with windows to its rear so that the gasworks line could be observed by the signalman. The new line created an alternative route into and out of Southport for the Wigan line trains. Although the opening of the connection line could have provided Butts Lane Halt with additional services none were scheduled to call and it continued to be served only by Barton branch trains. On the 1 January 1922 Butts Lane Halt became part of the London & North Western Railway (LNWR) after the LYR was absorbed by them. The July 1922 timetable showed ten weekday departures from the halt for Southport Chapel Street, four for Altcar & Hillhouse, and six for Barton. The following year the LNWR was in turn merged with other companies to form the London Midland & Scottish Railway (LMS). With effect from the 13 November 1926 the railmotor services ceased to run to Altcar & Hillhouse and terminated at Barton (which had been renamed as Downholland on the 2 June 1924). During the 1930s competition from local buses had a detrimental impact on the number of passengers that were using the line and as a result the passenger service was withdrawn completely on the 26 September 1938. The last train ran on Saturday the 24 September 1938 and was operated by a conventional locomotive and coaches. Being only a basic affair Butts Lane Halt was quickly erased from the landscape. Goods and Passenger trains continued to pass through the site of the halt running between Southport and destinations via the Wigan line and goods services continued to run onto the Barton branch until 21 January 1952 (by which time the line had become part of British Railways London Midland Region). After that date a section of the Barton branch between Butts Lane Junction and Shirdley Hill was converted into two long sidings that were used for stabling excursion trains that had operated to Southport. The line was last used for this purpose in August 1963. The track running south from Butts Lane Junction was lifted in July and August 1964. Butts Lane signal box closed with effect from 16 June 1968 having been out of use since 27 November 1967 when the Meols Cop goods yard had closed. On the 14 June 1965 the direct route into Southport from Pool Hey Junction to St Lukes was closed completely and all Wigan line traffic ran via the former LSPJR line passing through the site of Butts Lane Junction. In 2012 the line through Butts Lane Halt was still open but there was no trace of the halt. Ticket from Michael Stewart, Bradshaw from Chris Hind, route map drawn by Alan Young. Looking east towards the site of Butts Lane Halt in October 1982 from Butts Lane. A pathway and steps had been located just to the left of the substation that led up to the Southport direction platform. 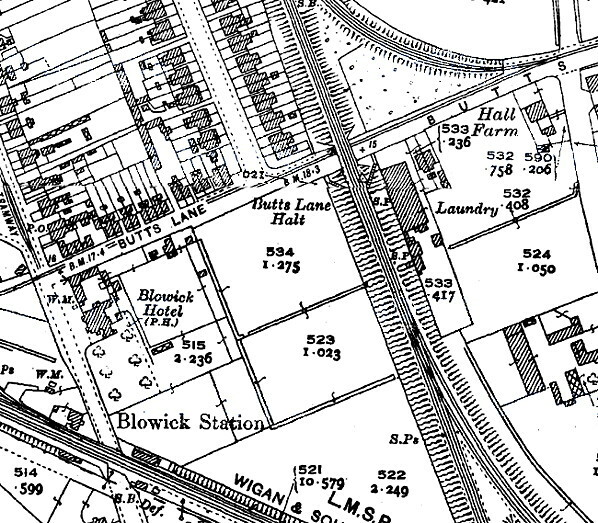 Butts Lane Halt as shown on a 1932 map. Butts Lane Junction can be seen to the south, and the signal box that controlled it is seen to the north of the halt. In the top right corner of the map are the lines that connected to Southport Gas Works; the gasworks line ran in part along Butts Lane. Looking east towards the site of Butts Lane Halt in January 2006. The halt had been on the embankment to the right of the bridge. 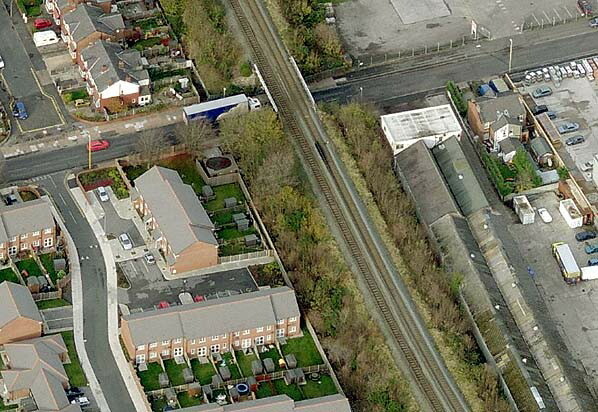 An aerial view of the site of Butts Lane Halt in the first decade of the 21st Century.